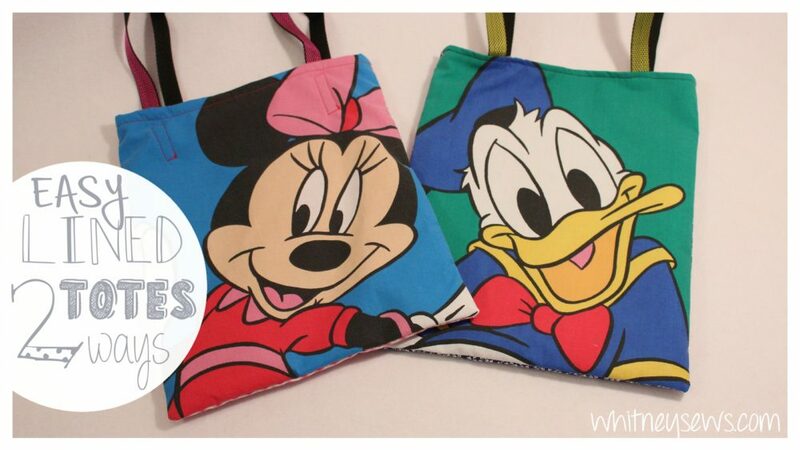 Last week someone asked me a question about tote bags in the Sew Your Stash facebook group. I quickly realized that I had never made a tutorial for lined tote bags that did not have boxed corners. 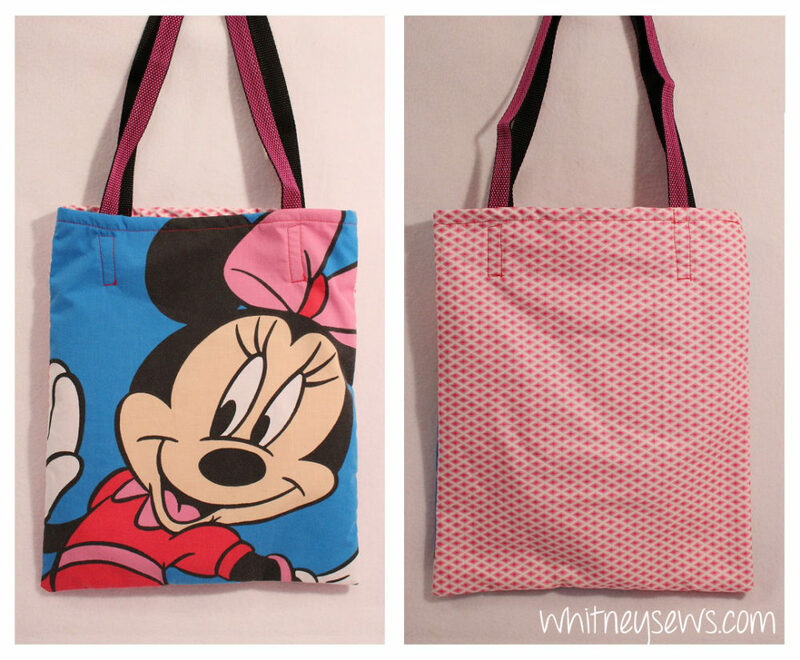 So I decided what is better than one tutorial for a basic lined tote bag….two lined tote bags! 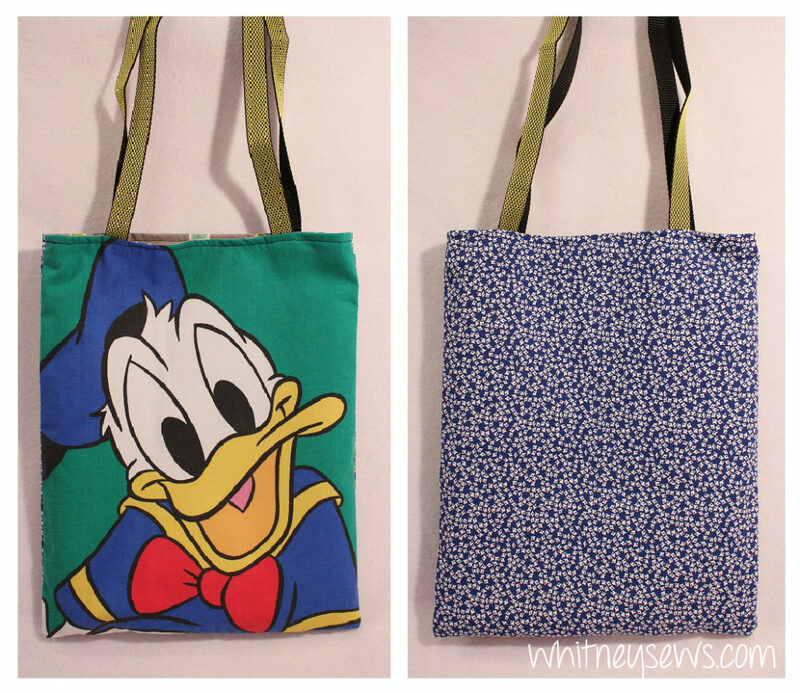 I show two very easy ways to create tote bags. This is a great project for sewers of any skill level. For the first method you sew the lining and outer together and turn over the top edge to take care of the raw edges, then add the straps. This way is best for basic cotton fabrics and store bought strap materials. This second method is sewn together with the outer and lining right sides together then flipped through an opening in the lining. The straps are added when the outer and lining are sewn together. This version is the one to use if you have heavier fabrics and want to make your own fabric straps. Click HERE to learn how to make both versions in the step-by-step video tutorial! Want to see how easy bag how tos?? Check out the entire playlist HERE! Let me know in the comments what other tutorials you would like to see on Whitney Sews and until next time, Happy Sewing! 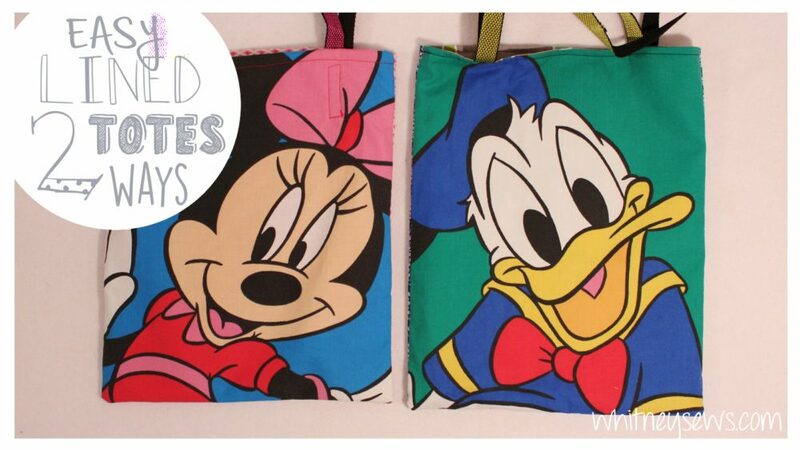 This entry was posted in Blog and tagged Bags & Pouches, DIY, How to, tote bag. ← Finishing UFOs and Finding More Fabric! My son is 29 months and I just started sewing last week. Mickey Mouse Clubhouse…his official oxygen. My first sewing goal, seemed so simple- a tote bag. And then the reality of sewing and everything you need to do and know before you even get to use the sewing machine…wow. Didn’t have the iron, chalk, clips, rotary cutter, mats, all the fancy tools, ect…..and a million dollars later- I own everything from the sewing section at walmart. And….I still can’t sew a straight line! I’m afraid to use pins, but your videos have been helping.